It might not have ever taken off in the West, but I’m a huge fan of the Little Tail Bronx universe, counting Solatorobo: Red the Hunter among my favourite games of all time. So, the announcement that a new title in this universe, Fugue on the Battlefield, is coming from CyberConnect2 has me practically salivating. As a kind of salve, CyberConnect2 president Hiroshi Matsuyama will be holding a livestream on March 25, 2019 at 8pm JST (4am PT/11am GMT) with a look at the gameplay for Fuga. Additionally, the second half of the livestream will be spent talking about the “next plans” and the new direction CyberConnect2 will take for the next ten years, so it is not to be missed. 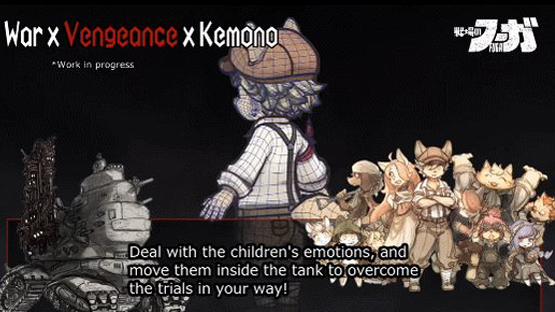 I’m pretty excited about this game, despite knowing nothing about this game yet outside of the sacrifice mechanic, I guess I’m a sucker for cute characters in wartime strategy (see: Fire Emblem, Final Fantasy Tactics, Advance Wars). But what do you think? Will you be picking up Fugue on the Battlefield when it lands? Will you be watching the livestream? Let us know in the comments, or on Facebook and Twitter, and check back for more coverage of the “revenge trilogy” and other Japanese games. Fugue on the Battlefield is due for release in Fall 2019.